Natus Vincere have managed to claim an event win for the first time since BLAST Pro Series in Copenhagen last year. Taking the top spot at StarSeries i-League Season 7 in Shanghai, Oleksandr “s1mple” Kostyliev and his teammates put on a decent display throughout the week to claim $250,000. 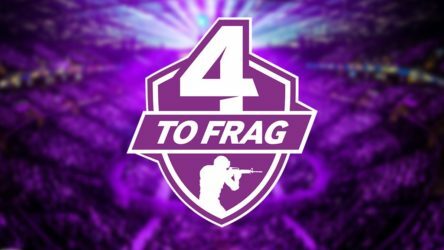 It’s worth noting that the top best teams in the entirety of Counter-Strike: Global Offensive – Astralis and Team Liquid – were not in attendance in Shanghai this time round; reserving themselves for what’s to come instead. 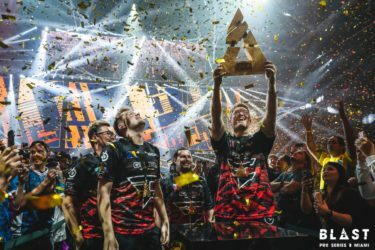 Coming into the event, ENCE were the third seed in HLTV’s world rankings so all eyes were on them to prove that they deserve such a placement. They ended up losing in a close 2-1 series to Team Vitality and then 2-1 to Natus Vincere in the quarterfinals, ending their run at the event. Natus Vincere didn’t have too much trouble throughout the weekend besides an out-of-character defeat at the hands of ViCi Gaming at the very beginning of their campaign. They followed up the loss with a convincing 2-0 victory of BIG, a 2-1 showing against Ninjas in Pyjamas, and a strong 2-0 win over NRG Esports. Moving into the playoffs, Natus Vincere took down ENCE and then put down Renegades (ignoring a shocking blowout defeat on the second map) to move onto the grand finals. Facing off against Fnatic – who surprised practically everybody considering their recent poor performances in other tournaments – the CIS squad looked in their element. A swift 3-0 scoreline handed them the trophy but it’s hard to say they’re a world-class team considering the top two teams weren’t in attendance. Looking forward, Natus Vincere have ESL Pro League and BLAST Pro Series Miami to focus on in the near future.